This column originally ran in the Danish tabloid BT on April 10, 2019. The next installment will run on April 24, 2019. 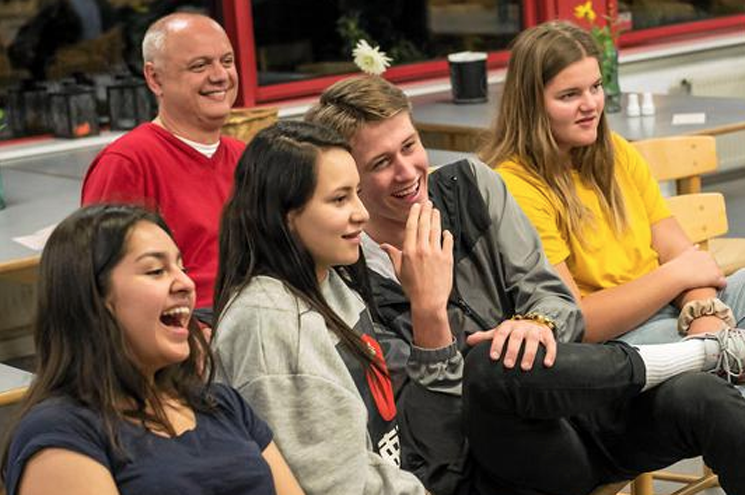 Usually when you are a first-time voter in Denmark, you are 18 years old, and the excitement of being able to vote comes second to the excitement of being able to get tattoos and piercings without your parents’ permission. 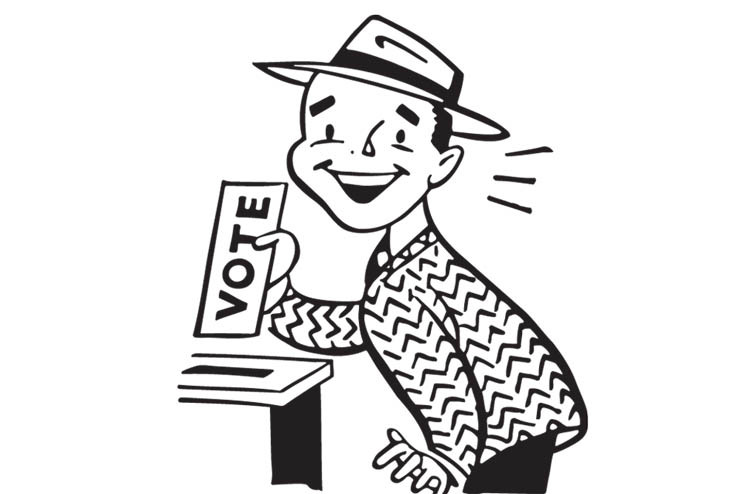 I am somewhat older than that, so for me the chance to vote in my first election for the national Parliament (Folketing) is really exciting. 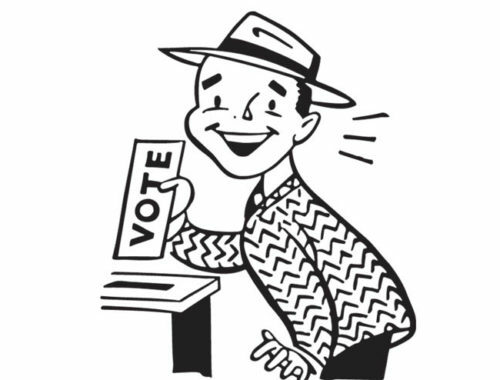 I became a citizen of Denmark in 2017, and although I’ve been able to vote in municipal elections before, this is the first time I get to make an impact nationally. 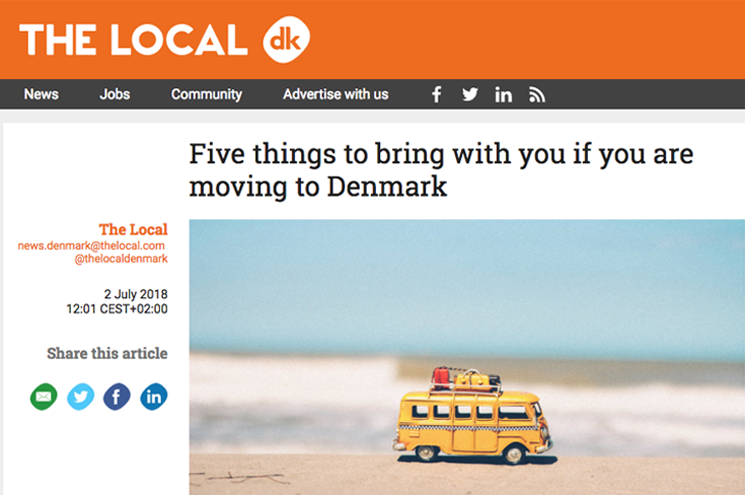 What do you need to pack if you’re moving to Denmark? Casual clothes, over-the-counter medicines, unique ingredients for recipes, and games with English-language rules, writes Kay Xander Mellish in a new article for TheLocal.DK. An extra set of eyeglasses is useful if you wear them, she adds, since optometry and opticians aren’t covered by the Danish health system and can be expensive. It’s also a good idea to bring along an external hard drive to back up your laptop data – laptop theft is all-too-common in Denmark. And you can leave your high heels at home. In Denmark, practical clothing is key. 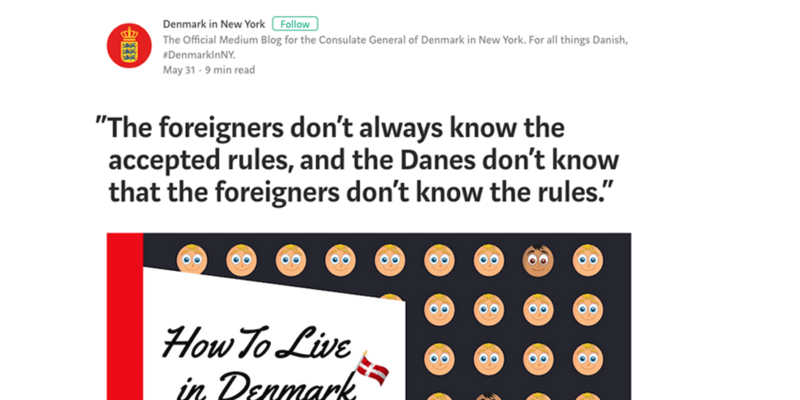 Denmark vs NYC – what’s the difference in working in Copenhagen vs. Manhattan? 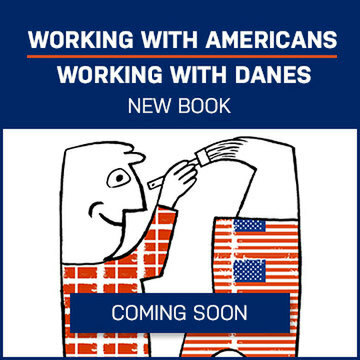 #DenmarkinNY – the Danish Consulate in New York’s blog – recently took time out to chat with Kay Xander Mellish, a longtime New Yorker who now lives and works in Copenhagen. 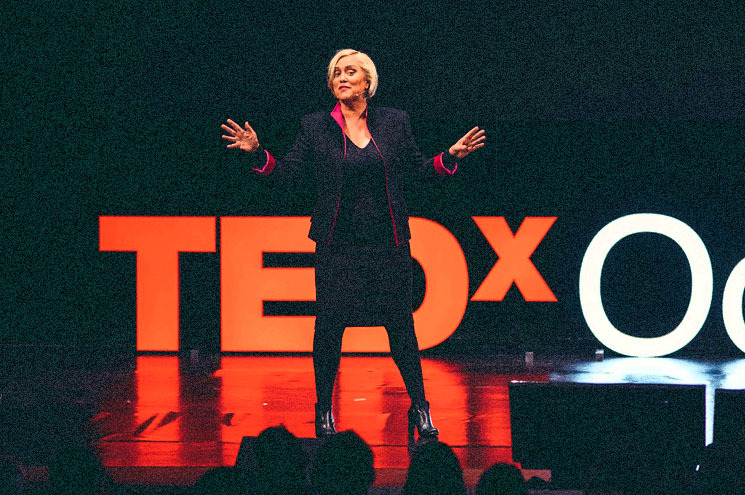 Kay Xander Mellish’s TEDx Talk “The Privileged Immigrant” looks at highly-educated immigrants who choose to relocate for professional or personal reasons. What responsibilities do these privileged immigrants have to the places where they’ve chosen to live? 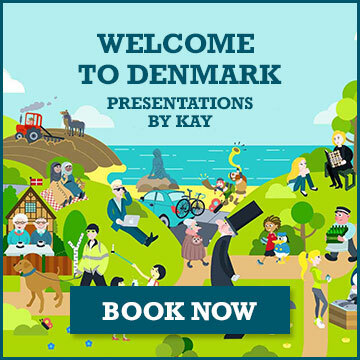 In the talk, which was delivered April 14, 2018 at TEDx Odense, Kay suggests that immigrants with options need to research the basic values of the place where they intend to move in order to make sure that their own values are in line with the people who already live there. 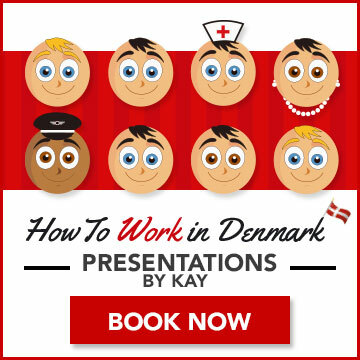 Denmark’s highest-circulation newspaper, the Jyllands-Posten, published an extensive interview with “How to Work in Denmark” author Kay Xander Mellish about working culture in Denmark. 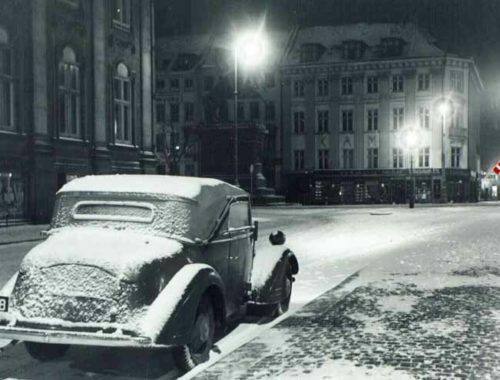 Accompanied by photos taken at the Copenhagen headquarters of Carlsberg, Kay’s former workplace, the article goes into Kay’s reasons for coming to Denmark and her observations about the Danish workplace. 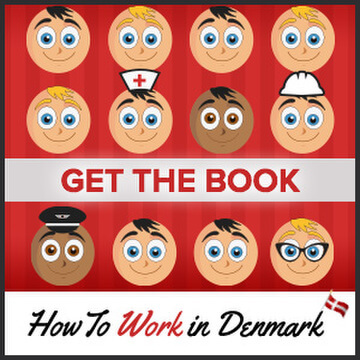 More than 200,000 foreigners are now at work in Denmark, according to the Confederation of Danish Industry. 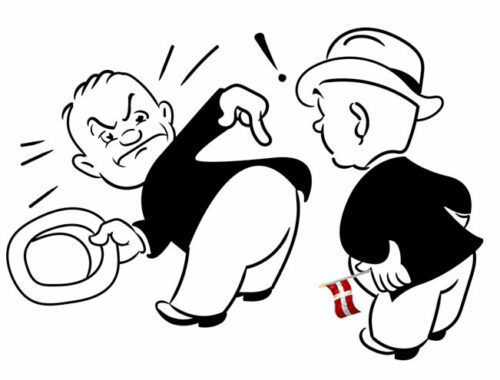 But the fine points of business etiquette in Denmark can be tricky for non-Danes. 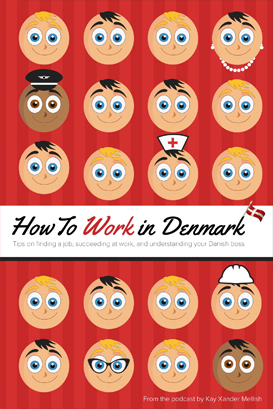 Many of the “rules” are unwritten, and Danes have expectations of their business partners they might not always be aware of themselves. 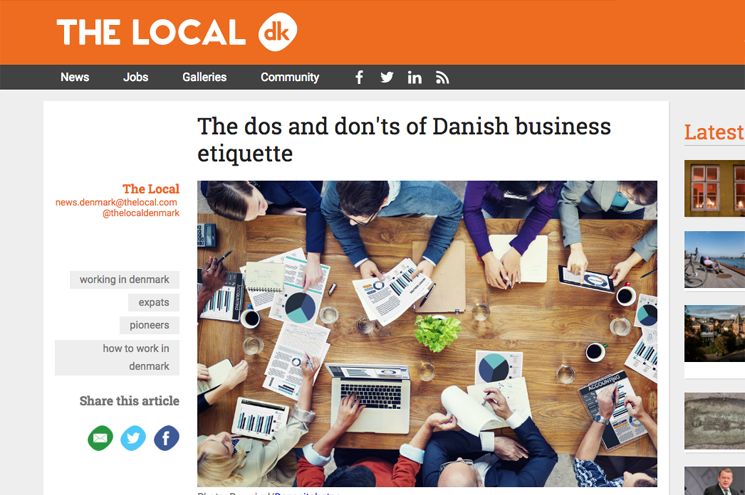 In an article for TheLocal.dk, Kay talks about some of these unsaid expectations and unwritten rules of Danish business etiquette. 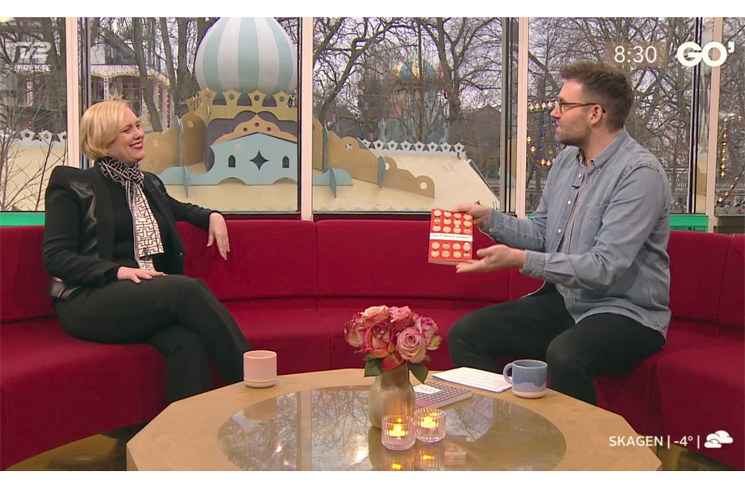 Kay Xander Mellish’s new book on Danish working culture, How to Work in Denmark, has received extensive coverage in the Danish media, including an appearance on the nationally-televised “Go’ Morgen Danmark” to publicize the book. Kay also stopped by the P1 Morgen studios in DR Byen to discuss the book (listen here). 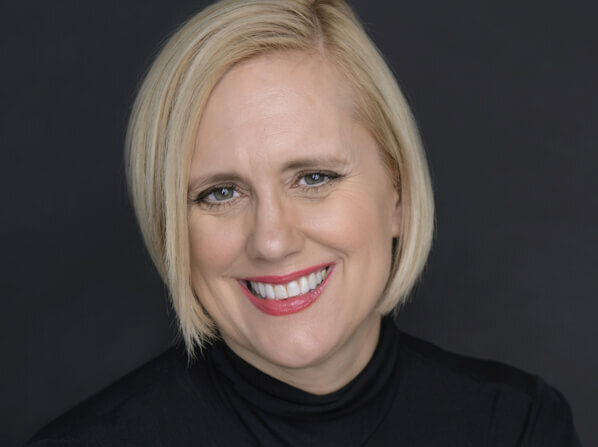 She also chatted with Anders Christiansen on Radio 24-7 about the ins and outs of Danish working culture, and appeared with Karen Høgh on her Solopreneur podcast. 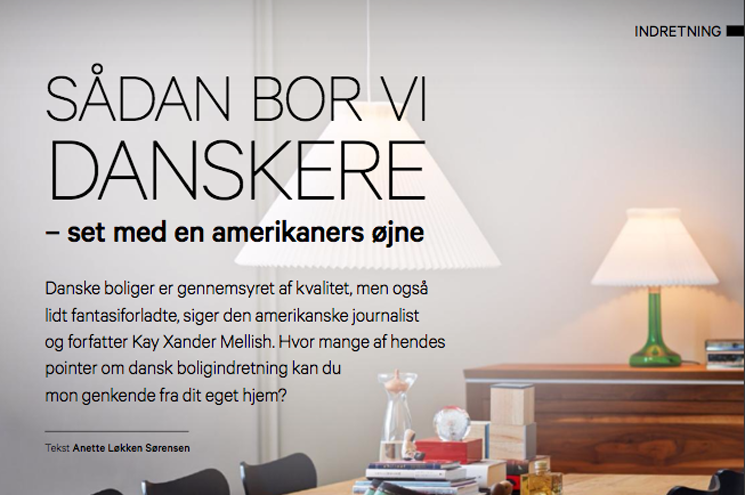 “Dansk kultur set med amerikansk øjne” was the topic when Kay Xander Mellish was interviewed for Vores Villa, Denmark’s most popular interior design magazine with a circulation of more than 1 million homeowners. 🇩🇰 Naturens farver spiller en stor rolle i danske hjem. 🇩🇰 Stor ensartethed, fordi der er en frygt for at sprænge rammerne. 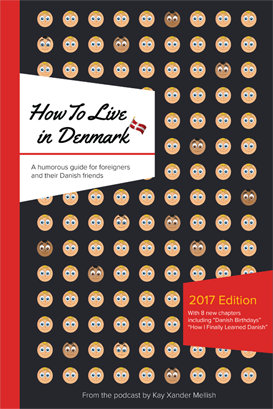 🇩🇰 Isolation, der er designet til at holde på varmen – smart om vinteren, men upraktisk en hed sommerdag. 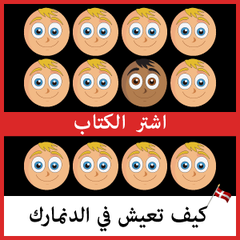 🇩🇰 Hårde sofaer og senge – og der er ikke nok puder i dem! 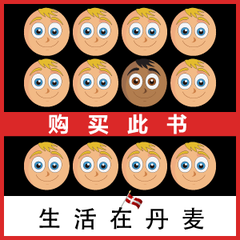 🇩🇰 Stole, der er rene kunstværker, men som man sidder elendigt i. Read more in the article in Vores Villa. 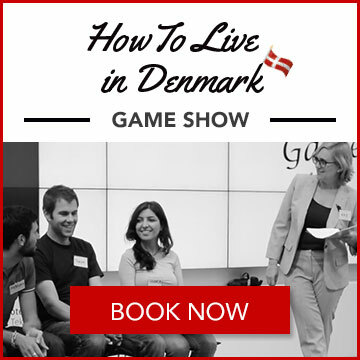 One of the most popular events for internationals in Denmark is the How to Live in Denmark Game Show. 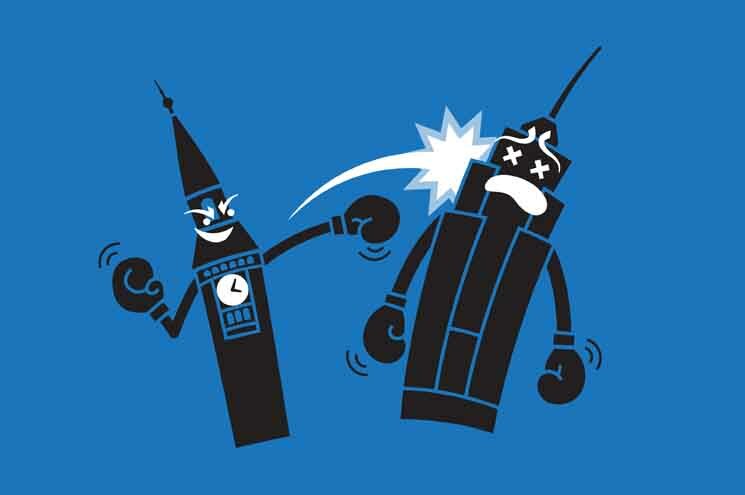 I Danmark kommer man klokken otte nul dut, hvis man er inviteret til klokken otte. Kommer man for tidligt, så venter man pænt i bilen, indtil klokken slår otte – og Gud nåde og trøste dig, hvis du kommer fem minutter for sent. 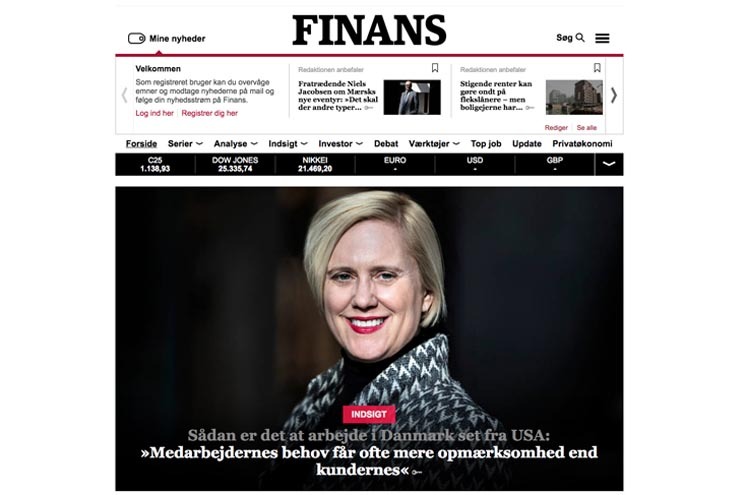 Sådan er en af de uskrevne regler for etikette og god tone her i landet, og det blev udlændinge bosat i Kalundborg torsdag aften klogere på, da den amerikanske journalist og foredragsholder Kay Xander Mellish holdt foredrag på vandrerhjemmet i Kalundborg. Kommunens bosætningsteam var værter for kulturmødet, og de havde inviteret udvekslingstuderende på gymnasierne, udenlandske medarbejdere fra byens virksomheder, folk fra Sprogskolen og de nye internationale studerende fra Professionshøjskolen Absalons ingeniøruddannelse til at lære mere om normerne i den danske kultur. Med glimt i øjet gav hun de fremmødte humoristiske eksempler på, hvad man gør og ikke gør over for danskere. – Har I prøvet at sige godmorgen til nogen efter klokken 9? Den går bare ikke. 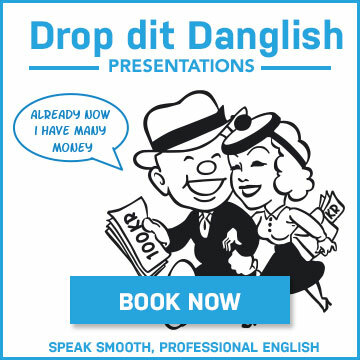 Folk tror, I gør grin med, at de lige er stået op, lød det blandt andet fra den amerikansk foredragsholder. Efter foredraget blev der leget lege – et jeopardy-spil om danske værdier samt en leg, hvor udlændingene skulle svare på, hvad de troede danskere ville svare til konkrete spørgsmål. Et af dem lød: »Hvilken dessert er danskernes foretrukne?«. Hertil blev der svaret »rødgrød med fløde« – så lidt har da sat sig fast. 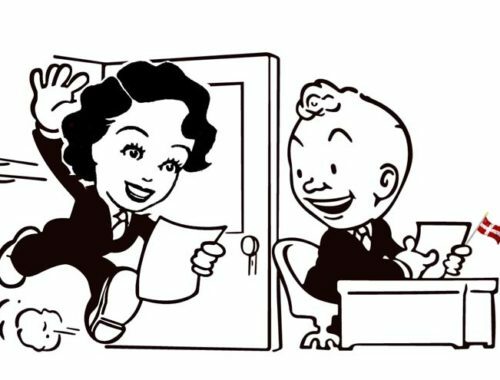 See all our events for internationals on our events page.